For some, winter is the season to do little other than curl up by the fireplace with a hot drink. But how can you stay inside when a transformed world of outdoor activities awaits? During the 12 Months of Adventure, it is our solemn pledge to bring you the best adventures Outdoor Project has to offer. Whether you seek the thrills of backcountry skiing, the simplicity of snowshoeing, or the challenge of cross-country skiing, there is a winter adventure worth bundling up for and getting out there. 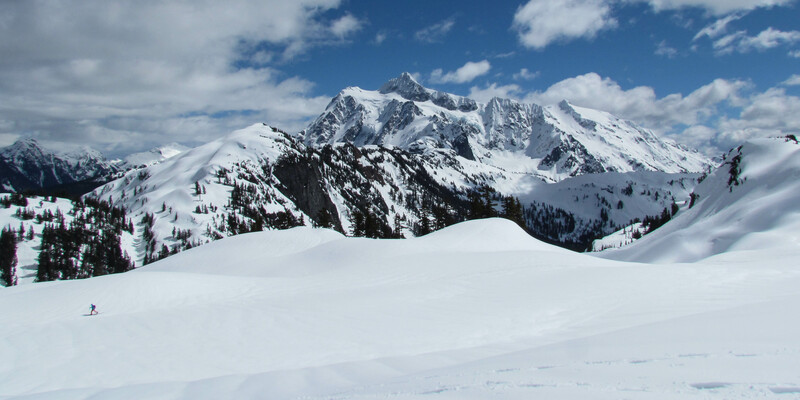 Whether you're in British Columbia or the District of Columbia, we have the winter adventure you're looking for. Cross our hearts. Spanning the continent and covering all skill levels in various sports, here is our mega-list of the top cold-weather hotspots for winter adventure. Making the climb up to Avalanche Lake. Photo by Nick Catania. Mount Beacon Fire Tiower (New York): Snowshoeing. Mills-Norrie State Park (New York): Snowshoeing. Bear Mountain + Perkins Tower (New York): Snowshoeing. Skytop Tower Trail (New York): Cross-country skiing. 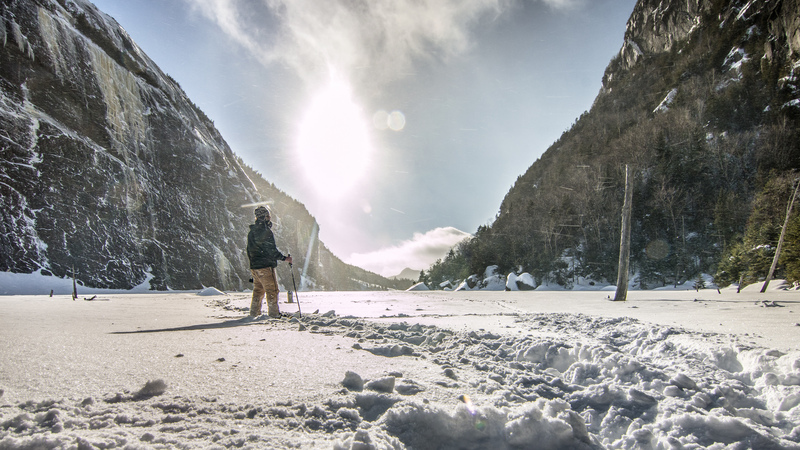 South Meadows to Avalanche Lake (New York): Cross-country skiing. Whiteface Landing (New York): Cross-country skiing. The MacIntyre Range (New York): Snowshoeing and XC skiing. Little Jay (Vermont): Backcountry skiing. Stowe Recreation Path (Vermont): Cross-country skiing. Bolton Valley Nordic Center (Vermont): Cross-country skiing. The Birthday Bowls (Vermont): Backcountry skiing and snowshoeing. Mount Washington Lion's Head Route (New Hampshire): Mountaineering. Table Rock Trail (Maine): Snowshoeing. Roan Mountain (North Carolina): Cross-country skiing. Watching a skier from Artist Point. Photo by Anthony Kasner. 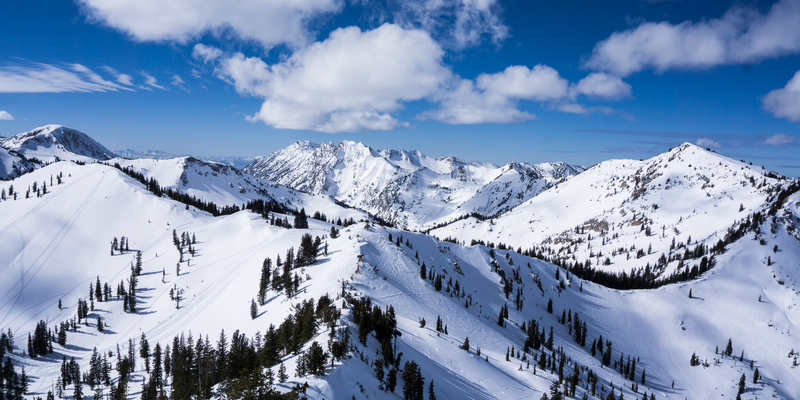 Artist Point​: Snowshoe, cross-country ski. Cabin Creek Nordic Ski Area: Cross-country ski. 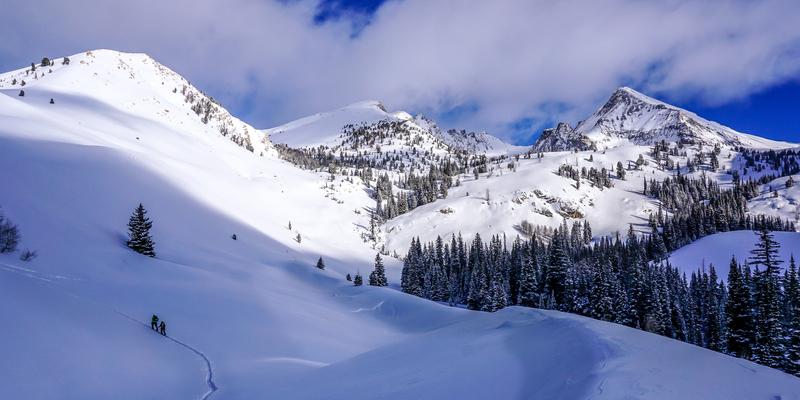 Hidden Lake Lookout: Backcountry ski, overnight stay. Lake Elizabeth: Snowshoe, cross-country ski, hike. Lake Valhalla: Snowshoe, cross-country ski. Mount St. Helens Worm Flows Route: Snowshoe, backcountry ski. Paradise Snowplay Area, Mount Rainier National Park: Sledding. Reflection Lakes and Inspiration Point, Mount Rainier National Park: Snowshoe, cross-country ski. 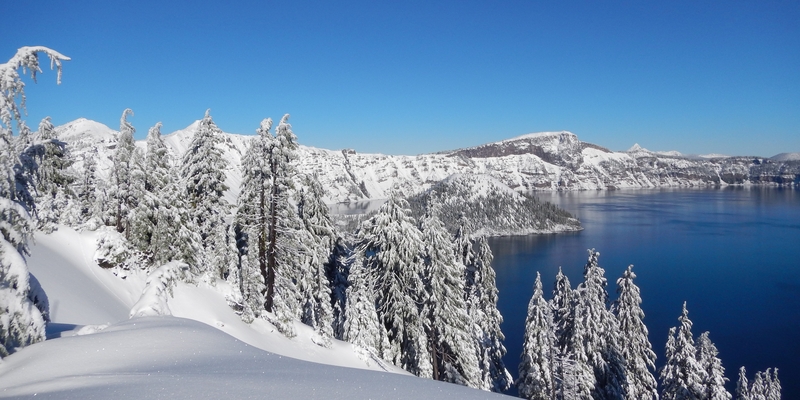 Winter is a beautiful season at Crater Lake. Photo by Jess Beauchemin. Abiqua Falls: Snowshoe, cross-country ski, hike. Black Butte: Snowshoe, cross-country ski, hike. Cloud Cap Road: Snowshoe, cross-country ski. Mount Bachelor: Sled, hike, snowshoe, cross-country ski, backcountry ski. Snow Bunny Play Area: Sledding. Tumalo Falls: Snowshoe, cross-country ski. The Watchman, Crater Lake National Park: Snowshoe, cross-country ski. Enjoying the ride down Journeyman Peak. Photo by Adam Cowcill. Alexander Falls, Callaghan Country: Snowshoe, cross-country ski. Meadows + Solitude Loops: Snowshoe, cross-country ski, overnight stay. 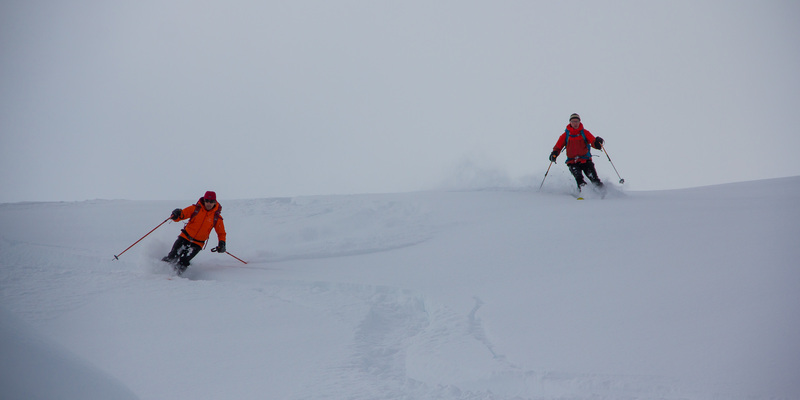 Journeyman Peak: Backcountry ski, overnight stay. Skinning in to the Pioneer Yurt. Photo by Calvin Perfall. Fishhook Yurt: Backcountry ski, overnight stay. Pioneer Yurt: Backcountry ski, overnight stay. Williams Peak Hut: Backcountry ski, mountaineering, overnight stay. 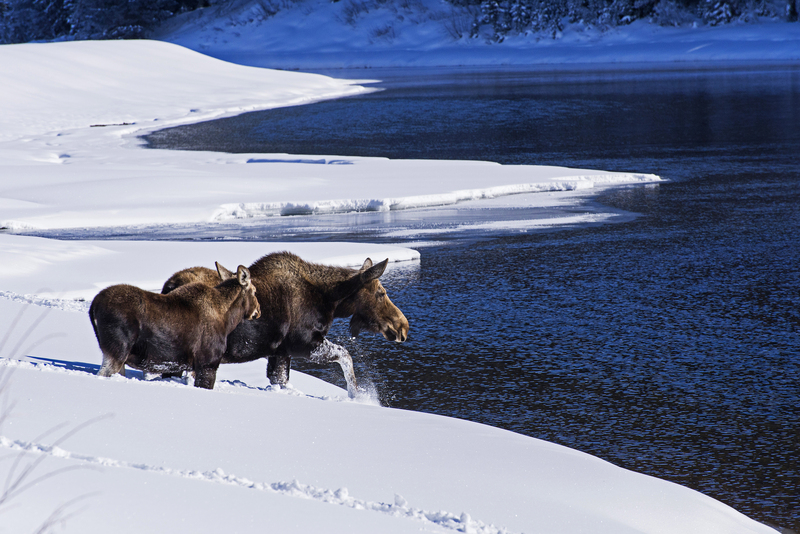 Moose crossing the Snake River. Photo by Kyle Jenkins. Commissary Ridge Yurt (Wyoming): Backcountry ski, overnight stay. New World Gulch (Montana): Snowshoe, XC ski. Snake River via Jackson Lake Dam (Wyoming): Snowshoe, XC ski. North Country Trail (Minnesota): Snowshoe, XC ski. The view from Catherine's Pass. Photo by Calvin Perfall. Hidden Falls: Snowshoe, cross-country ski. Scott Hill: Snowshoe, backcountry ski. Bald Mountain: Snowshoe, backcountry ski. Guardsman Overlook: Snowshoe, XC ski. The valley section of the Mount Sanitas Hike. Photo by Rini Sugianto. 10th Mountain Division Ski Huts: Snowshoe, cross-country ski, overnight stay. Evergreen Lake House: Ice skating. Loch Vale, Rocky Mountain National Park: Snowshoe, cross-country ski. 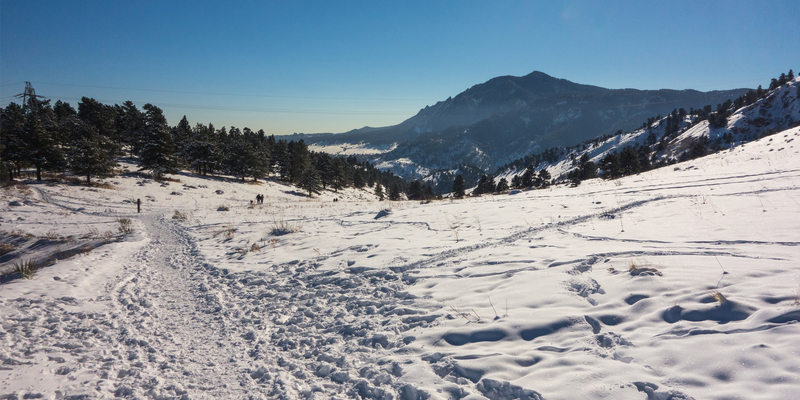 Mount Sanitas: Hike, snowshoe, cross-country ski. Ouray Ice Park: Ice climb. Upper Fish Creek Falls: Snowshoe, cross-country ski, hike. The Pear Lake Ski Hut. Photo by Aron Bosworth. Andesite Peak: Snowshoe, cross-country ski. Big Bend Sledding Hill: Sledding. Castle Dome: Snowshoe, cross-country ski. Donner Ridge: Snowshoe, cross-country ski, sledding. Glacier Point Road, Yosemite National Park: Snowshoe, cross-country ski. Mount Tallac: Snowshoe, cross-country ski. 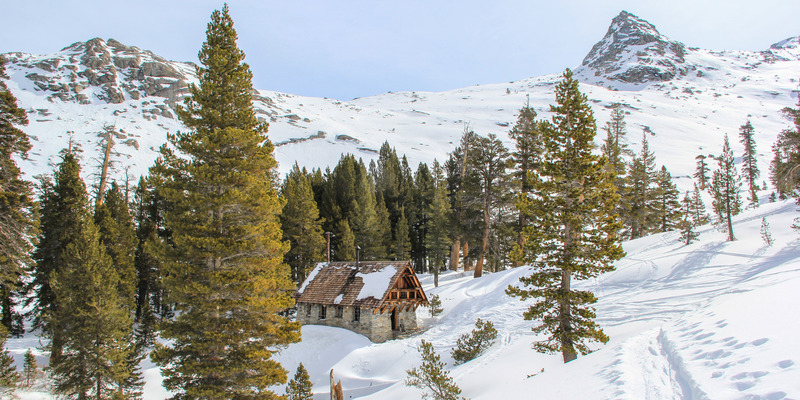 Pear Lake Ski Hut: Backcountry ski, overnight stay. Your posts are always western USA-centric. What about crosscountry skiing and snowshoeing along the carriage roads to some of the most beautiful vistas in the park? What about including crosscountry skiing in Acadia National Park along the carriage roads to some of the best vistas in the park.